For the woman who perseveres with hope and a pure heart, like snow as it melts into water in the spring. Colour: The top-quality satin fabric is emerald green. The traditional Japanese design is purple,green, and orange. Fan Surface Material: Top-quality satin and lace fabrics. Fan Ribs: Bamboo, the outer ribs feature a black coating. 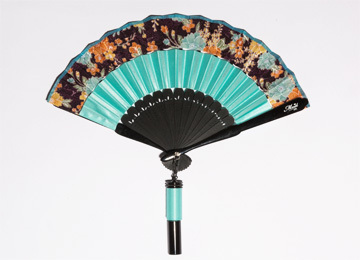 Size: The folding fan is 27 cm wide and 16 cm tall. The perfume bottle is 7 cm tall. 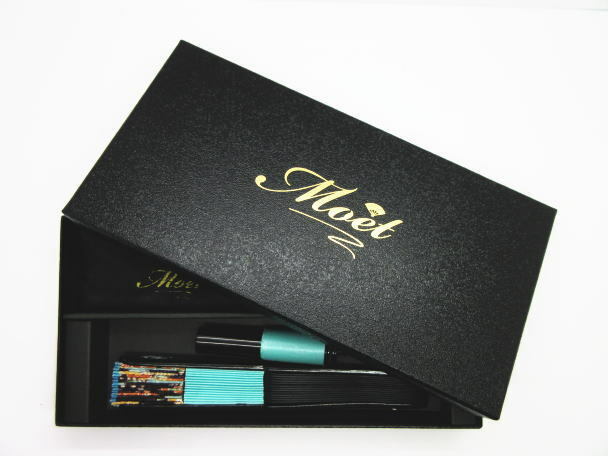 Items Included: Moet folding fan, special satin bag, specially processed fragrance bottle, packaging box. All fans are hand-made by traditional artisans, mass production of this product is not possible. Each fan takes more than one month to complete. Common folding fans are simple and made from paper. Moet fans are made with overlapping satin and lace, creating brilliant tones of colour and a gorgeous, sleek look. 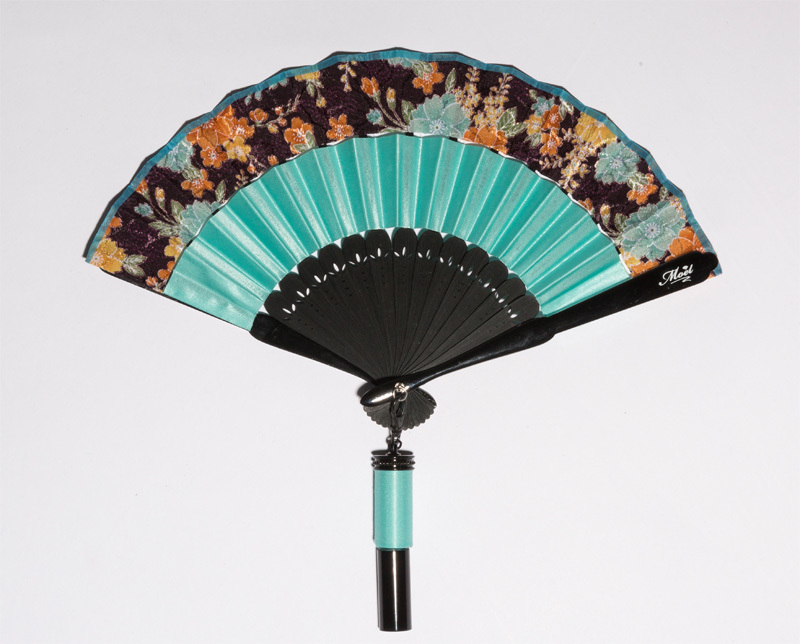 Moet folding fans are the world’s first to feature a removable perfume bottle, attached to the handle. 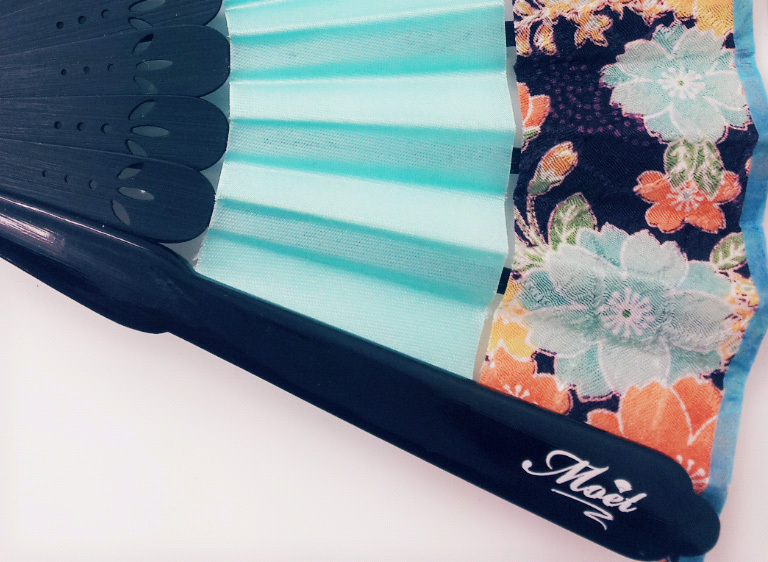 Our fans are produced at a specialty store in Kyoto established more than 270 years ago 窶錀 this is the actual birthplace of the folding fan. Final product details and colours may differ from those shown in the photos on this website. Each product is unique, and the material cutting process leads to differences in each item. Made in Japan, using glass, resin, brass, aluminum, top-quality satin and lace fabrics. 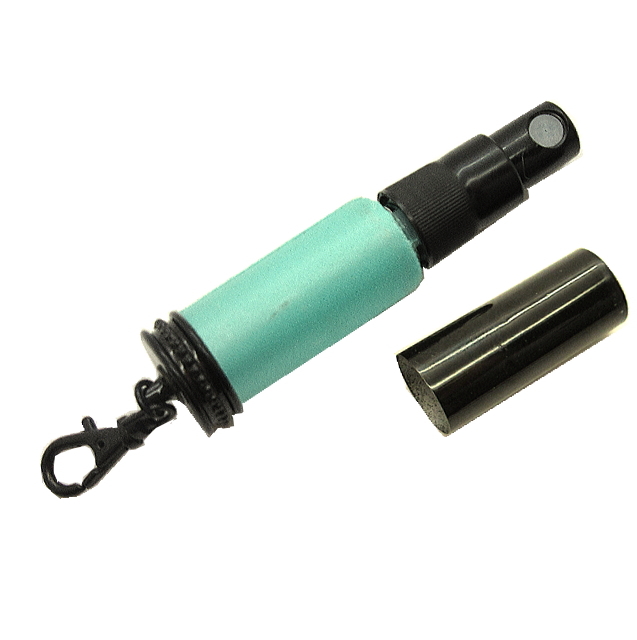 The bottle can be removed from the fan, and the bottle cap has been specially processed by a skilled craftsman to stay attached. Our showroom and office is located in Tokyo.